Kathak Toronto » We are Partners with TorontoStorytellingFestival Performance March 18!! M-DO/KathakToronto is pleased to announce an artistic collaboration and partnership close to our heart, a festival of STORYTELLING! 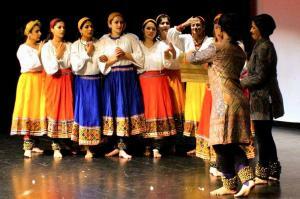 One of Kathak dancers favourite things to do! This intimate space is filling up BOOK YOUR TICKETS NOW!! !